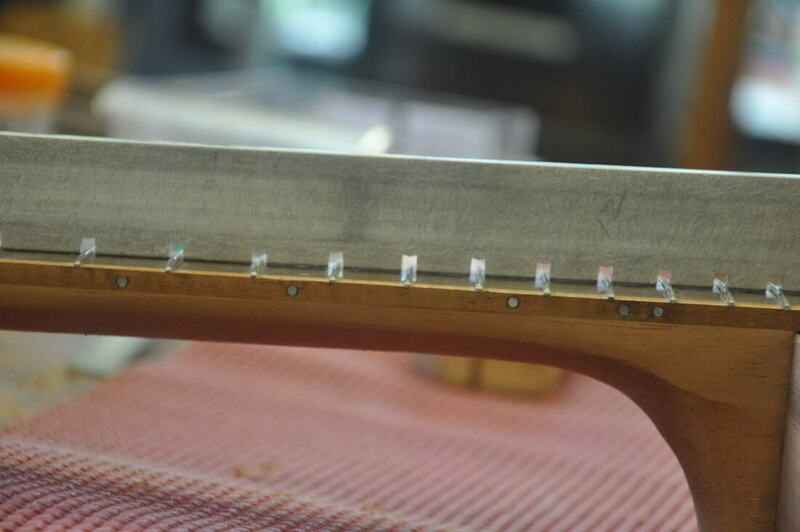 A slotted fretboard straight edge is very useful for checking neck set, bridge height, neck bow, etc. 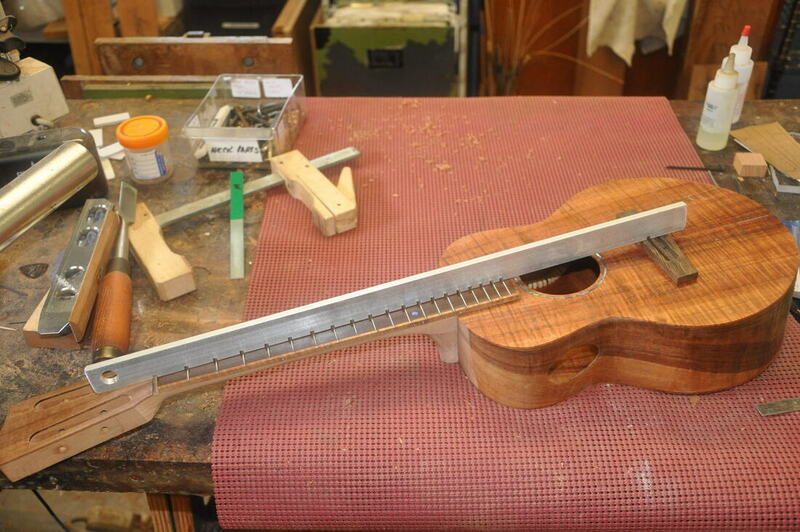 They are available from luthierie suppliers in standard guitar length scales. Different scales, like ukuleles and unusual guitar scales are not available. You can make your own at a tenth of the cost of commercial ones. I used 1/4" thick extruded hardware store aluminum. I took my best straightedge to the hardware store to check the aluminum bar stock for straightness. I chose 1/4" x 1" bar stock so that the 1/4" wide edge would be wide enough to balance by itself. I found that almost all the stock they had was straight enough to make a useable notched straight edge. Aluminum is soft enough to work with woodworking tools. I cut my notches on the table saw with a carbide blade, using my fret slot template as a guide. Very easy process. Takes maybe 15 minutes. If you are not comfortable working metals, you could do the same thing by hand filing the slots. I've done that before and was able to do it in an hour's time. The guide just won't be as pretty as one that was machine cut, but it will work the same. Whatever process you slot with, finish off by sanding/filing any sharp edges.